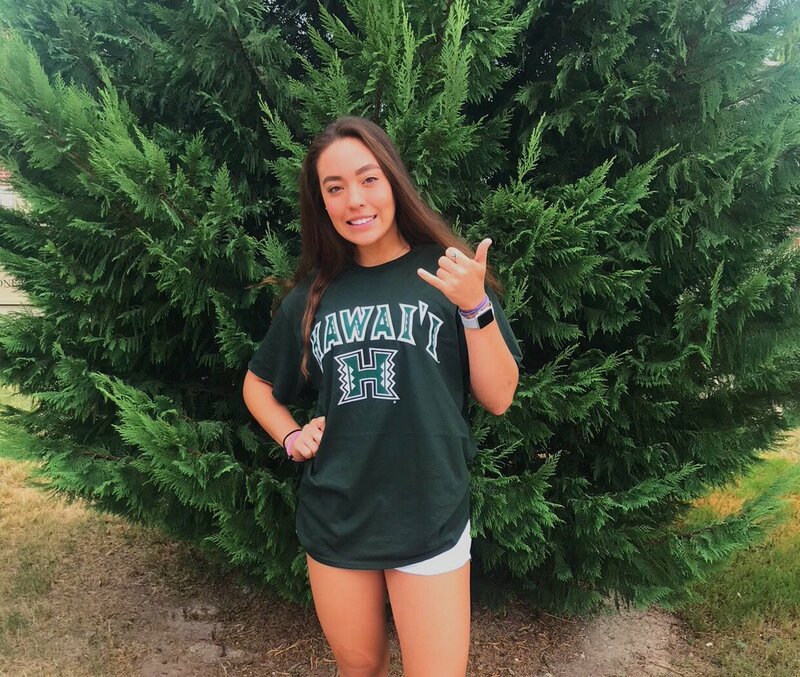 The Hawaii women’s volleyball program has earned their second class of 2020 commitment in Georgia Via, a defensive specialist/libero out of Texas. The other commitment for the Rainbow Wahine as part of the class of 2020 is Kate Lang, a setter also from the Lone Star state. Via will be a junior for the 2018-2019 school year at Independence High School in Frisco, Texas. She joined the varsity team as early as a freshman, when she totaled 414 digs (4.1 per set) according to her MaxPreps profile. On the club side of things, Via plays with Excel Volleyball Club in Plano, Texas. With the side she has experienced success both indoors and in the sand, as she did in 2016 when she won the NVL Global Challenge National Championship beach volleyball tournament in Port St. Lucie, Florida. Indoors for the Excel 16 National Red team she earned a third-place finish at the 16 Open division of the 2018 USA Volleyball Girls’ Junior National Championships. Hawaii finished the 2017 season at 20-8 overall and 14-2 as a member of the Big West en route to an NCAA Tournament appearance.